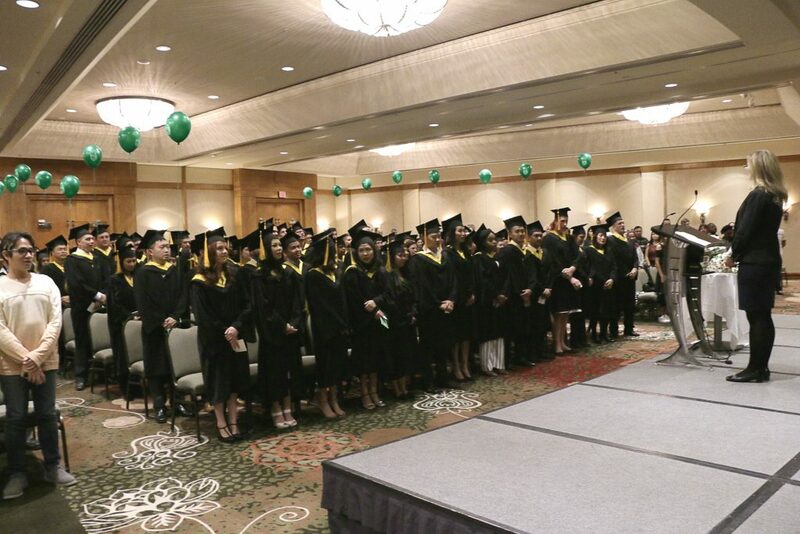 Last Friday we celebrated our 2016 – 2017 Graduates of Brighton College at the Hilton Hotel at Metrotown. It was a joyous evening filled with congratulatory messages, visions for the future, and warm embraces. The evening began with a warm welcome and introductions from Amanda Cabrera, Dean of Academics, and Master of Ceremonies for the evening. Brighton College is headed by a board of distinguished educators from universities and colleges in BC. Its main purpose is to ensure that the college maintains the highest standards of academic and professional excellence. For this special occasion, Marv Westrom, B.Ed., M.Ed., Ph.D. (Alberta), Professor Emeritus, Faculty of Education, UBC and President of Alexander College, gave a congratulatory speech on behalf of the Governance College Board. Brighton College Board Member, Geoff Sale along with Program Coordinators Edward Cheung, Jim Wong, Abhijit Padte, Barry Morgan and Michele Vincenti were honored to congratulate each student for their achievement and success in graduating from a program at Brighton College during the presentation of graduates. 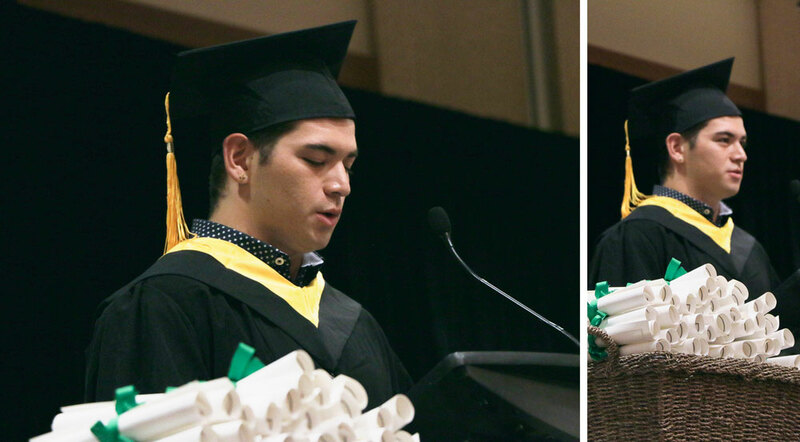 Soon after, Robert Jones delivered an inspiring, heartfelt speech as this year’s Valedictorian. During his speech, he touched on the value of education and his experience at Brighton College. The Dean’s list is reserved for students of the highest calibre who have achieved a cumulated average score of 90% or higher for their entire Diploma or Certificate Program of study. Brighton College was proud to award 31 Dean Awards to students who showed great dedication, persistence, and commitment to their education. During this year’s graduation ceremony the President of Brighton College, Patrick Zhao formally recognized these graduates for their exceptional performance. After the ceremony was over, students joined their family members in the grand hall for the final ritual of their graduation. A slice of celebratory cake that was well deserved by all! Congratulations graduates and best of luck in your bright futures! For more photos and videos of the event, follow us on Facebook and Twitter and subscribe to our YouTube channel!